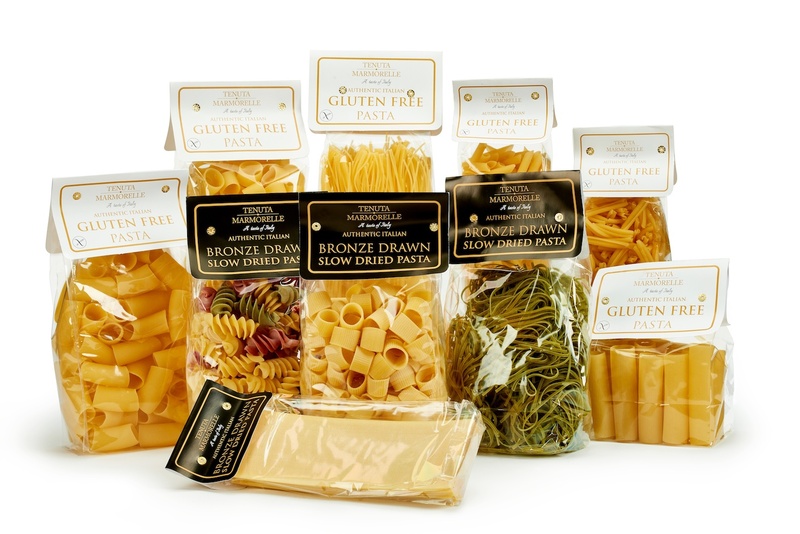 TENUTA MARMORELLE – Award Winning Extra Virgin Olive Oil, Pasta, Gluten Free Pasta, Antipasti, Balsamic Vinegar & More From Italy. Tenuta Marmorelle is the name of our Family Farm in Puglia, Southern Italy. Everything started over 15 years ago when we purchased a 300 year old farm, which we spent years restoring, and with over 650 olive trees we started producing ZERO, our Award Winning Extra Virgin Olive Oil. ZERO is the benchmark for all the products we import and our aim is the be the top Italian Wholesaler of the highest quality Italian Products. We deal directly with and have visited all of our suppliers in Italy and directly with all the Farm Shops, Food Halls and Restaurants we supply throughout the UK. Great to meet you guys today! Thank you for looking after my bottles of olive oil whilst I carried on shopping… Love the shape of the bottle (!) and look forward to drizzling it over many and various dishes! Hi Alexandra, it was great to meet you and hope that you enjoyed Spirit of Christmas! Enjoy ZERO and look forward to hearing back from you again soon. We are at BBC Good Food in Olympia, stand H98 if you want to pop by and say hi! Hi Rachel, Thank you for taking the time to leave us a comment. Happy to help and glad that you enjoyed Zero, our extra virgin olive oil. Thanks again!! Great to meet you at the CHF food festival. Have already drunk all that great prosecco! Good job you left some more!!! Hi Mike, it was great to meet you too and thrilled that you enjoyed the Prosecco. It is available in the Cannon Hall Farm Shop!! Look forward to seeing you again soon, a presto!! Hi Wayne and Dave, it was great to meet you too, hope you had a good time at the Christmas Market and hope you enjoy the Balsamic Vinegar! I love your Gf pasta, it has been a long time since I really enjoyed Pasta due to my condition, keep up the good work, a fantastic product! Thank you for taking the time to write to us, really appreciate it and thrilled that you enjoyed our pasta! Would be great to see the end product @tmarmorelle on instagram and twitter.